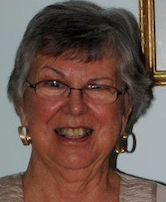 Mary E. Burke Nocivelli, age 84, of Sun City Center, FL, formerly of Acton, MA, and Harwich, MA passed away on January 16th in Florida, surrounded by her family. She was the beloved wife of John (Jay) Nocivelli and the late Edwin H. Burke. She is survived by her children Kathleen Horan (Mike) of Maynard, MA, Gerard E. Burke (Kate) of Pittsfield, MA, Maryann Deignan (Chris), and Patricia Longo (Larry) of Boston. Mary was the loving "Nana Burke" to 16 grandchildren and 3 great grandchildren. Born on January 27, 1934, she was the oldest of six children born to the late Patrick and Elizabeth Rogers McDonough, both of whom emigrated from County Roscommon, Ireland. Mary grew up in the Boston area and was a 1951 graduate of St. Thomas Aquinas High School in Jamaica Plain. Mary loved learning and consciously chose to make a difference in the lives of others which she did through-out her life. Awarded her Baccalaureate degree from Regis College in 1956, Mary earned her Master of French degree from Boston University in 1973 and Master of Library Science from Simmons College in 1977. Upon completion of her Master in Library Science, she enjoyed her role as a librarian in both the public and private sectors. Her teaching and librarian career spanned 40 years, most of which was spent in the Boston area including Brockton High School and later at Nauset Regional High School. Her love of reading was well documented as evidenced in her reading journals. She loved to travel and especially enjoyed living at the Cape from 1977-1992. Nana had a tradition that when each of her grandchildren turned 10, she took them on a carefully planned, special trip based on their individual interests. Known to enjoy the occasional "retail therapy" excursion, Mary was quite chic in her chosen outfits from Chico's. A humble and gracious lady in all of life's joys and sorrows, Mary loved and supported anyone who needed it. In addition to her immediate family, she will be greatly missed by her extended Weeks/Nocivelli families & her many nieces and nephews as well as her lifelong friends. A Celebration of Her Life will be held Saturday morning, April 6th at 11:00 AM at St. Irene's Church, 181 East St. Carlisle, MA 01741.